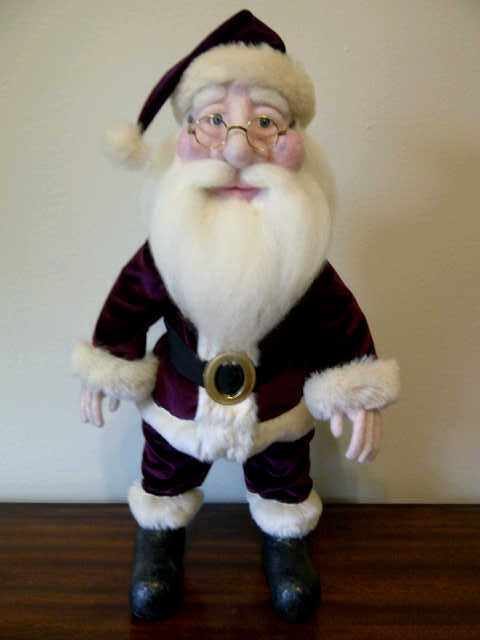 This is my 2012 Santa and the only one that I will make this year. 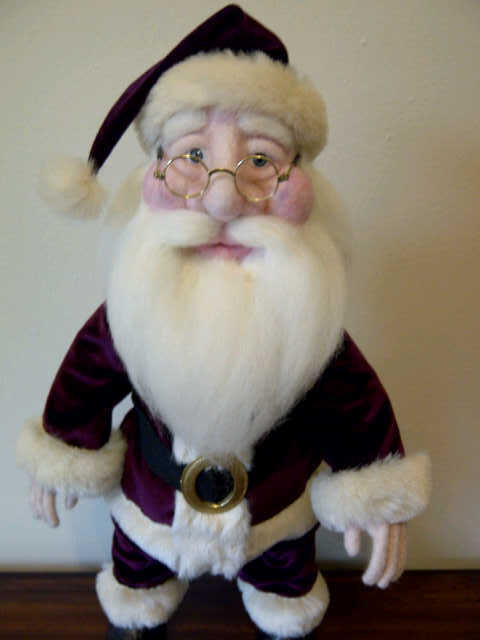 He is currenlty for sale on Ebay. 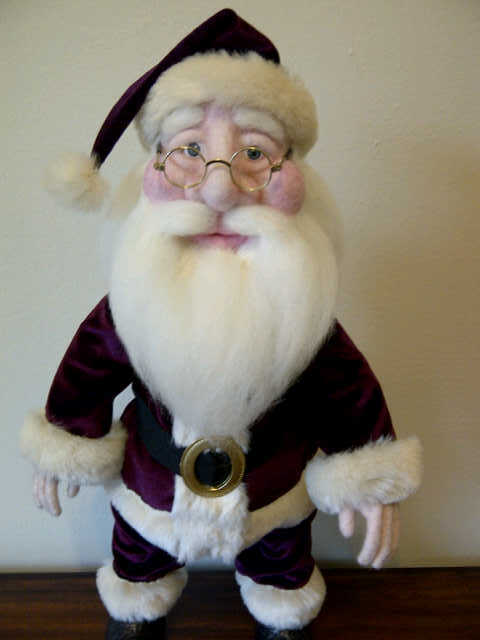 He is soild needle felted and has no wire armature. 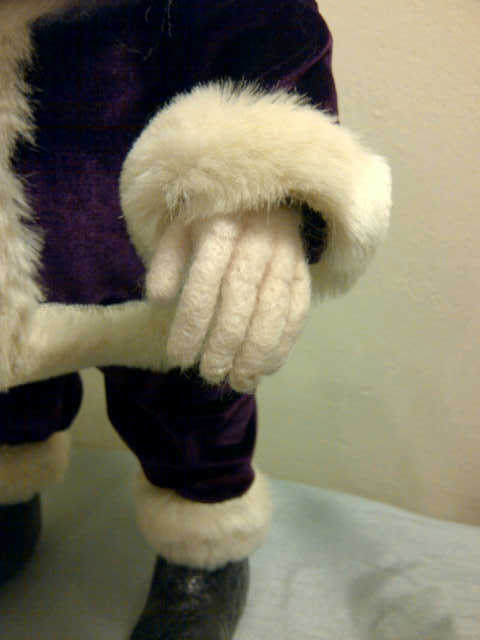 He is able to stand on his own, is fully posable and his clothes are hand sewn from burgundy velvet and trimmed in faux white mink. His boots are also solid wool felting and have been sealed, sanded and sealed and sanded many times to look like leather boots.